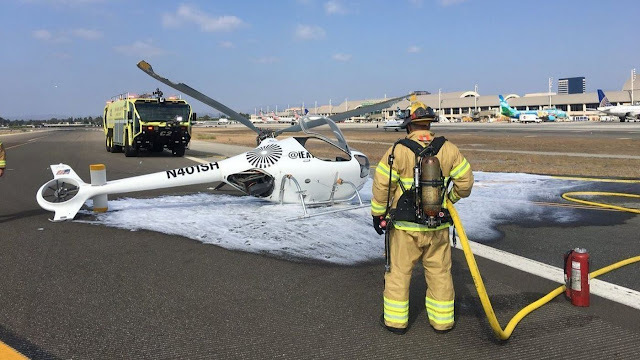 On September 3, 2018, about 1537 Pacific daylight time, a Guimbal Cabri G2 helicopter, N401SH, was substantially damaged during an autorotative landing near Santa Ana, California. The flight instructor and student pilot were not injured. The airplane was owned and operated by Spitzer Helicopters and operated by One Above Aviation under the provisions of Title 14 Code of Federal Regulations Part 91 as an instructional flight. Visual meteorological conditions (VMC) prevailed, and a flight plan was not filed for the cross-country flight, that departed John Wayne-Orange County Airport (SNA), Santa Ana California about 1400 and had flown to El Monte, California through an intermediate airport before returning to SNA. According to the flight instructor and student pilot, they returned to SNA after conducting some cross-country flight training. They initiated an autorotation to simulate an inflight loss of engine power from about 700 ft mean sea level (msl) and 60 kts and maintained 50 kts during the subsequent glide, which was uneventful. As they reached 150 ft msl the flight instructor prepared for a power recovery by opening the throttle slightly, with the intention of preventing the rotor RPM from entering the normal range before they flared the helicopter. Two seconds later, the flight instructor realized that she did not have enough power and advanced the throttle further. The flight instructor added that as the helicopter reached 40 ft msl the student pilot raised the collective pitch control to stop the descent, but did not complete the flare. While descending in a near flat attitude, the flight instructor rolled the throttle to its full power position to complete the power recovery, but the engine power did not rise as the instructor and student pilot had anticipated. The low rotor rpm horn engaged and the nose yawed to the left. The helicopter rolled to the left from an altitude of about 4 ft before coming to rest on its left side. Postaccident photos furnished by the helicopter operator showed substantial damage to the main rotor blades. Additionally, the helicopter fuselage had separated from the skid attachment points. In subsequent interviews with the flight instructor and student pilot, the instructor noted that the throttle seemed stiffer than normal. The student pilot remarked that during the accident flight the engine power responded about 2 seconds after it was advanced to full power. In his experience during previous flights, the engine normally takes about one half second to advance to full power. Additionally, the excerpt advises that the helicopter will yaw to the left when the power recovers. A flight school that owned and operated a small helicopter that crashed Monday at John Wayne Airport, injuring the two people onboard, is the company that under a different name operated a helicopter that crashed into a Newport Beach home in January, killing three people and injuring two others. In Monday’s incident, a flight instructor and a student suffered minor injuries when the Guimbal Cabri G2 they were flying crashed and tipped onto its side, officials said. The chopper was owned and operated by One Above Aviation, formerly named Revolution Aviation, according to John Wayne Airport spokeswoman Deanne Thompson. The school did not respond to a request for comment. Fire officials responded to the scene just after 3:30 p.m. Monday. The two injured people, who were not identified, were treated and declined further medical attention, according to fire officials. The National Transportation Safety Board is investigating the cause of the crash. Thompson said no mayday call came from the chopper before it went down. Thompson said she had no information about the copter’s planned route. The helicopter crashed along Runway 20L at Taxiway J, according to John Wayne Airport officials. The runway, intended for small aircraft, was shut down for about an hour and a half as it was cleaned of oil spilled during the crash, officials said. Airport officials said there was no disruption to commercial flights. The crash occurred about seven months after a four-seat Robinson R44 helicopter operated by Revolution Aviation slammed into a house in Newport Beach's Bayview Terrace community on Jan. 30. Three people aboard the copter died, including Newport resident Joseph Anthony Tena, 60, who had an ownership stake in Revolution Aviation. Revolution Aviation was the focus of a Federal Aviation Administration investigation last year into allegations of improper maintenance, including on the copter that crashed in Newport, documents show. Another copter Revolution Aviation operated crashed at Long Beach Airport in September 2017, shortly after the FAA's Long Beach flight standards district office inspected five of the helicopters the company operated, as well as all its aircraft operations and maintenance records, according to an FAA memo in August last year. 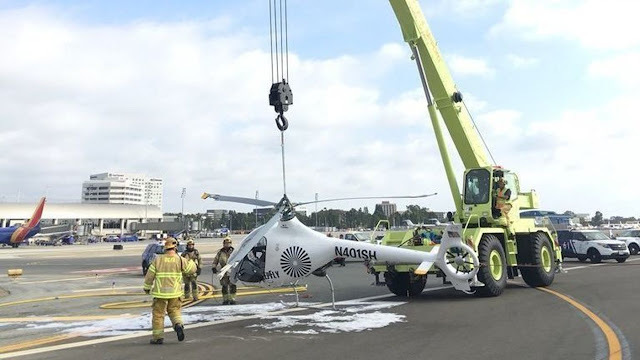 In the Long Beach incident, a Robinson R22 Beta helicopter began to shift to the left and right at an altitude of about 40 feet and suddenly and rapidly descended before hitting the ground and rolling onto its side, according to a preliminary NTSB report. The student pilot suffered serious injuries, the report said. 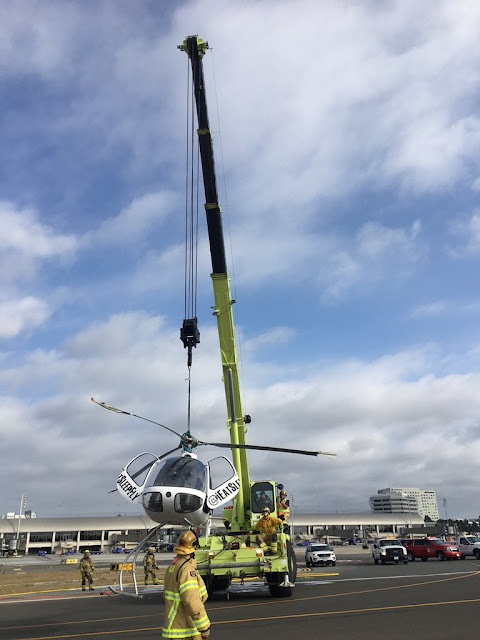 Reviews of the copters that eventually went down in Long Beach and Newport Beach found maintenance issues that did not meet FAA or maintenance manual standards, according to the memo. 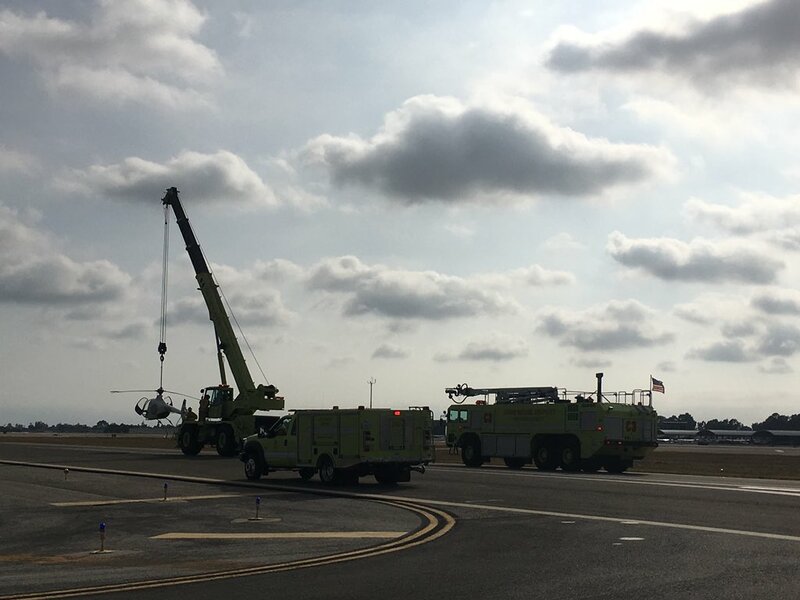 The investigation of the John Wayne Airport crash is ongoing, FAA spokesman Allen Kenitzer said Tuesday, but it wasn’t clear whether the FAA is currently investigating One Above Aviation.